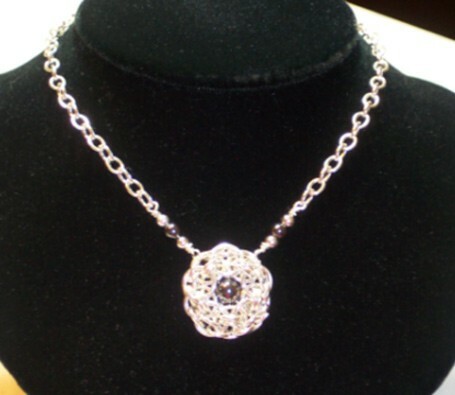 The Celtic Pendant is a variation of the Celtic Line and Celtic Knot weaves. It is beautiful to wear. I have added a hematite bead to the center and on the sides. Other types of beads or stones may be used. You construct the pendant and then add the chain and clasp. Hematite beads are supplied in the kit. Chain and clasp are not included. This is an intermediate weave.